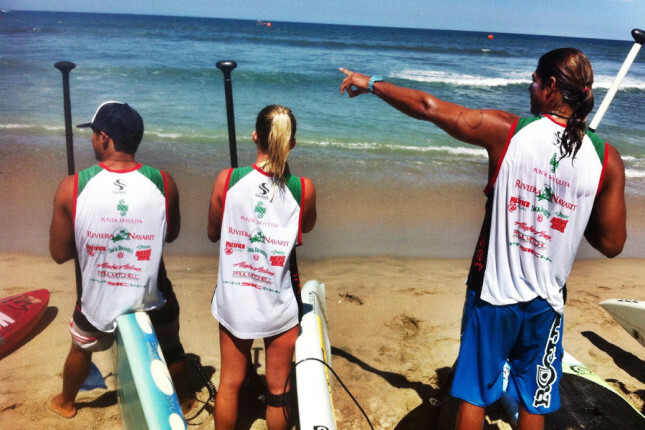 Results are in from the Punta Sayulita Classic in Mexico and it looks like the weekend belonged to Team SIC. Taking out both events (the Surf Race on Saturday and 10k Distance Race on Sunday) was Georges Cronsteadt of Tahiti, while teammate Lina Augaitis from Canada was too strong on the women’s side. In the Surf Race, Georges was the only paddler to make it clean to the first buoy, as a set swept through the field right after the start. From there, the Tahitian big guy controlled the waves and the race to finish around half a minute clear. Sayulita locals Ryan Helm and Fernando Stalla filled the men’s podium, with Ryan overtaking Fernando on the sprint up the beach to the line. Meanwhile Shelby Dela Rosa Taylor and Kristin Thomas took second and third respectively on the women’s.